From bean to brew, the goal is sustainability. To honor our new Organics line, we explored different uses for spent coffee grounds and found that there were so many. 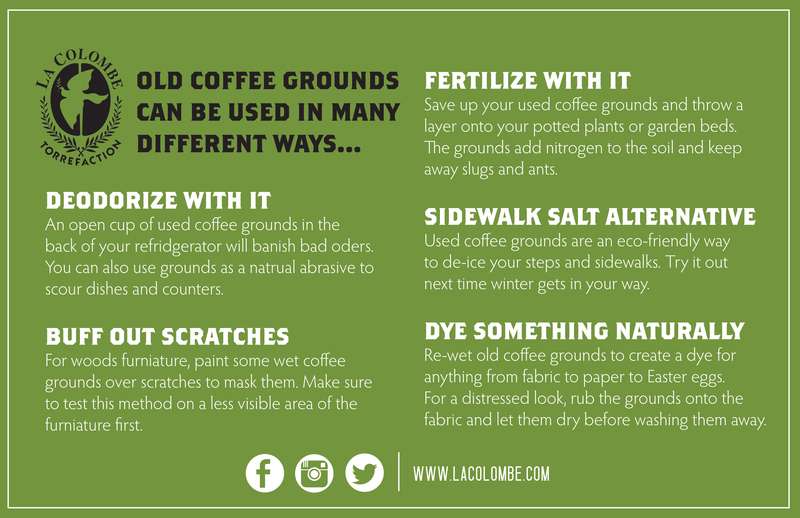 Check out some of our favorite tips below and then get green with your grounds. 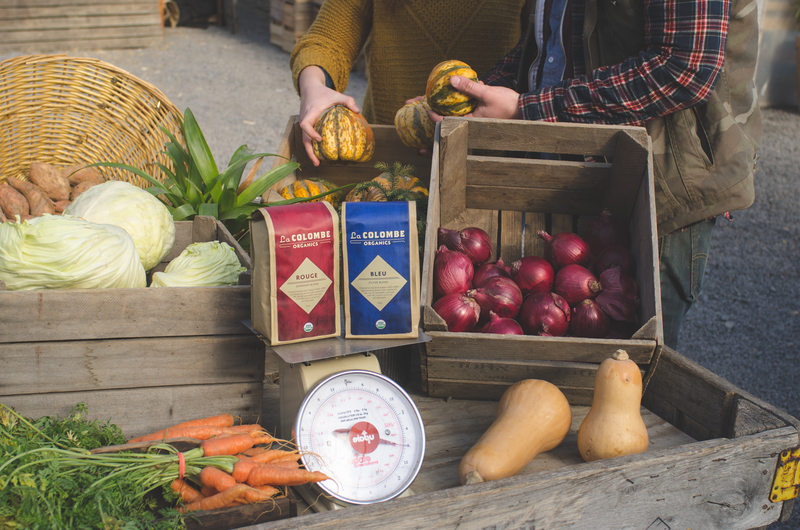 Use the hashtags #LaColombeOrganics and #GreenGrounds on Twitter and Instagram for a chance to win bags of our new organic blends, Rouge and Bleu! As plant lovers, green thumbs, and eco-nerds, we are psyched to now offer these organic-certified blends directly to you. Bleu, a filter blend, is a decadent dark roast with notes of milk chocolate. Rouge is an espresso blend, a medium roast with toasty notes of currants. These coffees don’t just taste good, they’ll make you feel good about your choice of morning brew. The beans come from cooperatives in Honduras, Nicaragua, Peru, and Ethiopia, and both blends are created entirely with organic USDA coffees. Rules: Contest is exclusive to Twitter and Instagram. To win, one must use both hashtags on a photo relevant to the subject. One winner will be selected on each medium and each will receive a bag of Rouge and a bag of Bleu. Winner must be located in or must provide a shipping address within the United States or Canada. Contest closes Monday, March 2nd, at midnight. This is hilarious considering that the La Colombe in my neighborhood throws the used grounds in the trash. Hi Justin, some of our cafes are able to repurpose their grounds, but not all. We definitely want to get better at it! It would be great if there was municipal composting infrastructure to help businesses and individuals reduce their waste. Coffee grounds used in the make of all natural and organic body scrub, smells as good as it feels! !